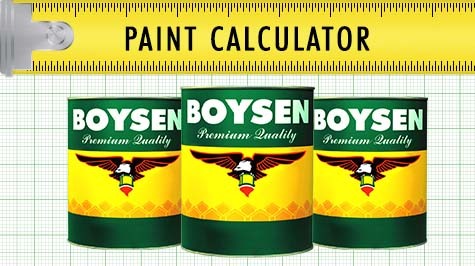 DESCRIPTION: BOYSEN® Permacoat™ Latex Paint is a 100% acrylic latex paint with excellent hiding, durability and dirt pick-up resistance. It finishes painting jobs in less coats, yet lasts longer than other brands allowing you to save a lot on time, effort, worry and money. PRINCIPAL USES: For interior and exterior such as concrete, stucco, bricks plaster, hollow blocks, drywall surfaces, and properly primed wood. 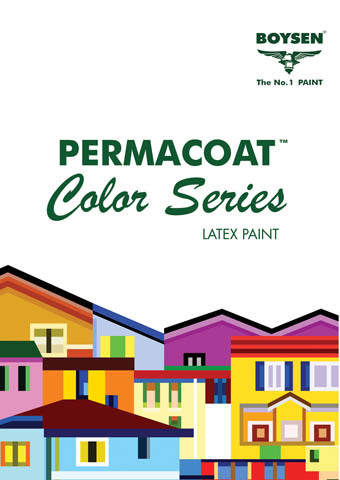 COLORANTS: Use only BOYSEN® Latex Colors for tinting to achieve pastel shades. To produce dark shades, use factory or Mix and Match™ pre-mixed colors. Do not use Hansa Yellow B-1466 and Toluidine Red B1407 for exterior applications.